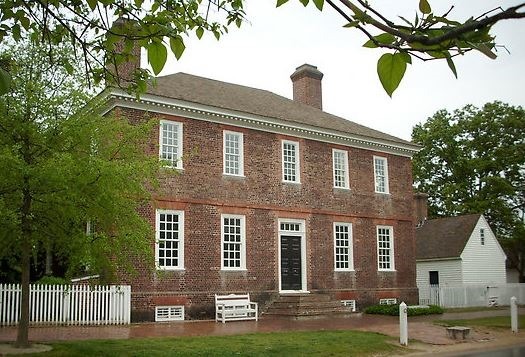 The Colonial Williamsburg Foundation is celebrating a $2 million endowment gift for the George Wythe House. The foundation says the endowment from Janet and Alan Coleman of Greenbrae, Calif., will assure the preservation of the home in the historic area. Janet and Alan Coleman, both California natives, are members of Colonial Williamsburg’s Goodwin Society and Life Members of the Raleigh Tavern Society. A renowned lawyer, legal scholar and teacher, Wythe was among the first Virginians to sign the Declaration of Independence. Wythe was so highly respected by his fellow Virginians that the other delegates left space so that his signature would appear first, even though he was absent on the day they signed the document. Thomas Jefferson learned the law from Wythe; in a manner of speaking, Wythe’s signature on the Declaration was a teacher’s endorsement of his pupil’s finest brief. Among Wythe’s other pupils were John Marshall, perhaps the greatest chief justice of the United States, and St. George Tucker. When Wythe was Virginia’s chancellor, Henry Clay was his assistant. George Wythe’s brick house, constructed in 1755 on the west side of Palace Street, was not the result of a series of additions but conceived as a whole. In Wythe’s day, it was considered the finest private home in Williamsburg with handsome symmetrical gardens and numerous out buildings, now reconstructed. The house – which accommodated Jefferson and his family in 1776 – also served as headquarters for George Washington just before the siege of Yorktown. Rochambeau occupied it for several months while French troops were stationed in Williamsburg after Cornwallis’s surrender in 1781. Wythe resided at the house until 1791. In 1926, the Reverend Dr. W.A.R. Goodwin of adjoining Bruton Parish Church established his offices on the second floor of the Wythe House after acquiring it for a parish house. The home has been furnished to look as it might have when George and Elizabeth Wythe resided in it. Alan Coleman received his master’s degree and doctorate degree from Stanford University, and served on the faculties of the Harvard Business School and the Stanford Graduate School of Business. He also organized and directed ESAN, in Lima, Peru, the first graduate school of business in South America. He served as Dean of the Cox School of Business at Southern Methodist University where he is now professor emeritus. Janet Coleman graduated from San Francisco State University and received a master’s degree from Southern Methodist University. A former teacher, she and Alan have two daughters who were with them for today’s dedication of a Wythe House plaque recognizing their philanthropy. The Colemans also collect rare books and have presented to Colonial Williamsburg’s John D. Rockefeller Jr. Library a manuscript of the rehearsal journal for Queen Anne’s 1702 coronation. This is one of only two known copies of this extremely rare manuscript.